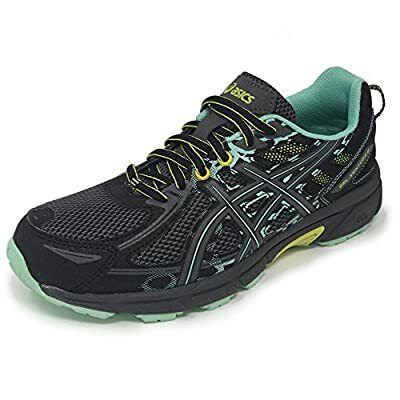 Arriving with a splendid appearance ensured by a breathable mesh upper with fine detailing, the Asics Venture 6 ladies' running shoes maintain the tradition of safe, and secure trail running performance in marsh terrain, as well as rocky, steep routes. There is a stitched down toe bumper to prevent any injuries, and grant enhanced sturdiness. The pair weighs only 261g, which is great when considering extra protection, and thanks to the rearfoot GEL® cushioning system, the shoes maintain optimal footbed responsiveness, and dampen incoming shock impacts on each step. Furthermore, for increased resistance to abrasion, and overall better traction on wet surfaces, the pair includes a Trail Specific outsole design with revolutionary AHAR® material.